One of my favourite parts of TNNA this past June was having the chance to loiter in Ysolda's booth - which I decided should be properly referred to as "Ysoldaland." Ysoldaland, as I see it, is a smallish, magical country somewhere in Northern Europe, populated by knitwear and yarn and tea. As you can see, I wasn't that far off the mark. Which meant, of course, that I had the chance to finally meet both Ysolda and Sarah, who were both absolute delights. This also meant that Ysolda had the chance to meet my gnomes. She even took care to document the occasion. Clearly, they've just said something inappropriate to her. I am not surprised. But it was amid all the yarn and knitting and gnomey beardhairs that the real magic happened - where I got to talking to the lovely Sarah, who, brandishing an elephant-shaped teapot full of steaming Earl Grey, insisted on filling and then refilling my cup. Soon the conversation turned to socks and shortly thereafter to curling and it wasn't long until the two got tangled up with each other, and then my brain got invovled and well, this happened: Socks, with curling rocks on - or "stones," rather, as they call them in Scotland. Yet another example of the Grand Canadian Tradition (as I see it) of depicting sports and hobbies on knitwear. Anyone familiar with the Mary Maxim sweaters of yesteryear will know what I am speaking about. As for those of you who don't, here is a helpful primer. 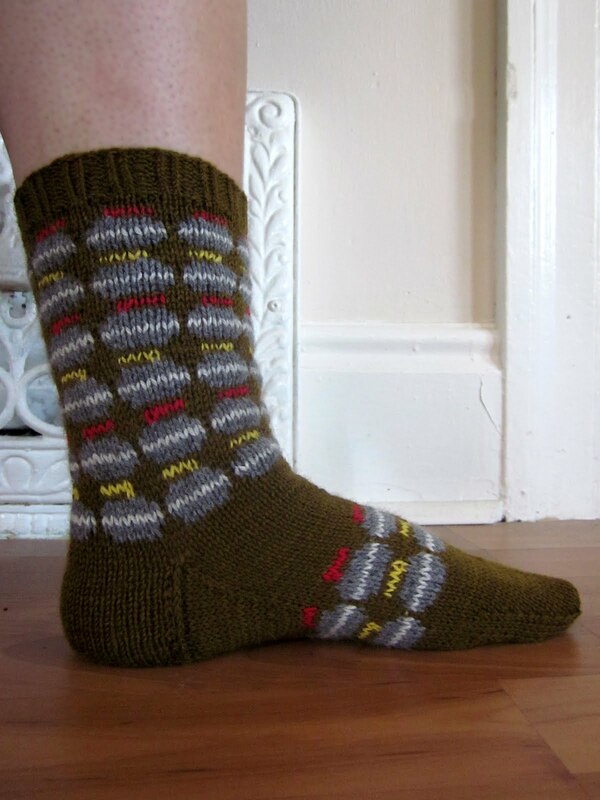 Regardless, I am pleased to announce that the pattern for the Curling Socks is now available for your knitting pleasure. Here on Ravelry and SOON, on Etsy and Craftsy. You will be notified! 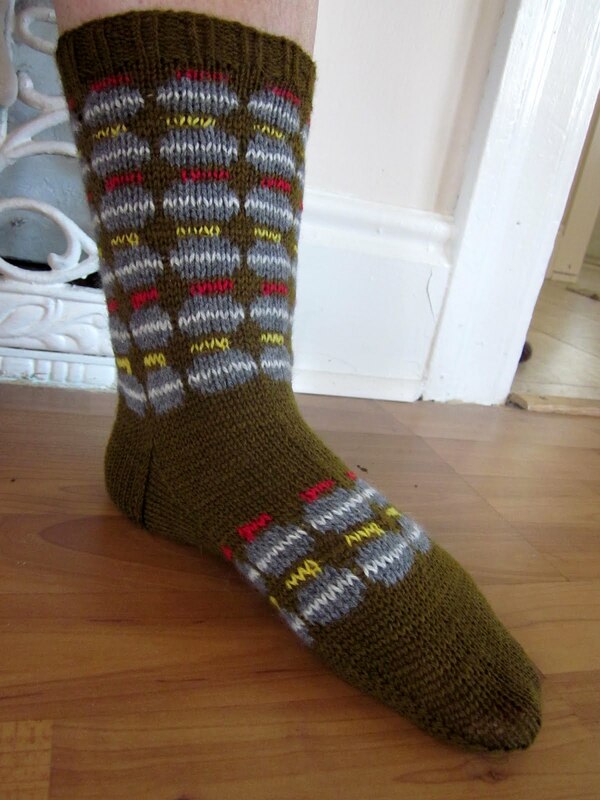 Love the curling socks, unfortunately where I live we only get to see it every 4 years at the olympics. August 8, 2012 at 2:03 p.m.
August 8, 2012 at 4:15 p.m. I had so forgotten the Gnome mittens! This is a great reminder! August 8, 2012 at 4:50 p.m.
My husband curls. These socks will make a perfect birthday present!! August 9, 2012 at 8:15 a.m. I love the old Mary Maxim patterns!!! August 12, 2012 at 9:42 p.m.